At this point I cannot speak of 'pleasant surprise', but it was nice to find once again a remarkable selection of local beer in my trips around the territory. From bars to restaurants, even also in hostels and hotels, the frequency with which one can find good beer, produced a few kilometers away by small brewers, is certainly good news for consumers. A sign that we are doing things right. Something that concerns the brewing establishment, as our industry news shows us lately. 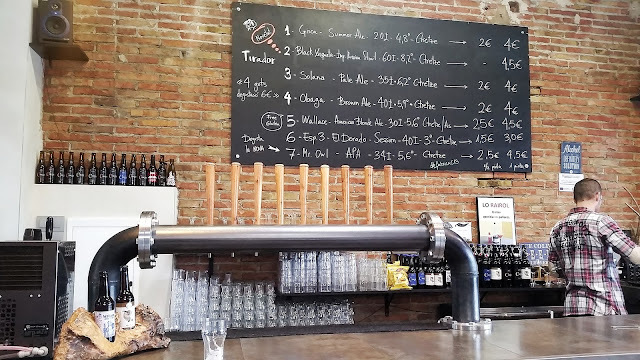 I had never stopped to think about the meaning of the name of that brewery from Lleida. I thought it was simply something peculiar. On the last short trip with my family to Pallars Jussà -north of Catalonia-, fleeing from the masses and seeking paths and mountain, we drove through C13 road, the main artery of the area that crosses from Lleida to Esterri d’Àneu. When we reached our destination, we sat in the cafeteria of the hotel where we were staying: my baby daughter ate her lunch and I relaxed drinking a Summer Ale. Then, when I read the label on the bottle, I finally caught the meaning*. But in these times when certain algorithms determine what products we are going to like and which events may interest us, it was the traditional word-of-mouth that turned my thoughts into something else. Without any previous planning, I would visit a microbrewery. But to be fair, the recommendation came through my smartphone, after I uploaded on social networks a picture of the moment I was calmly drinking a Gisca by CTretze, which was a good hint on my whereabouts. Let’s not demonise technology all the time. Since they were holding several concerts on the premises, we decided to go to Fàbrica CTretze to enjoy the event and get to know the project. With a name that deftly appeals to local identity, the facilities are located in La Pobla de Segur, a small town of 3,000 inhabitants, in a region of 13,000. After an initial period of uncertainty with the machinery, they are currently working at full capacity, selling at a rapid pace. 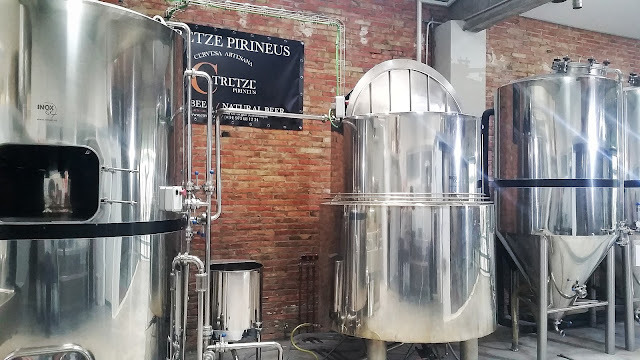 Their current brewing capacity is 1,500 liters per batch, with three 1,800 liters isobaric fermentation tanks and two 1,200 liters atmospheric fermentation tanks. 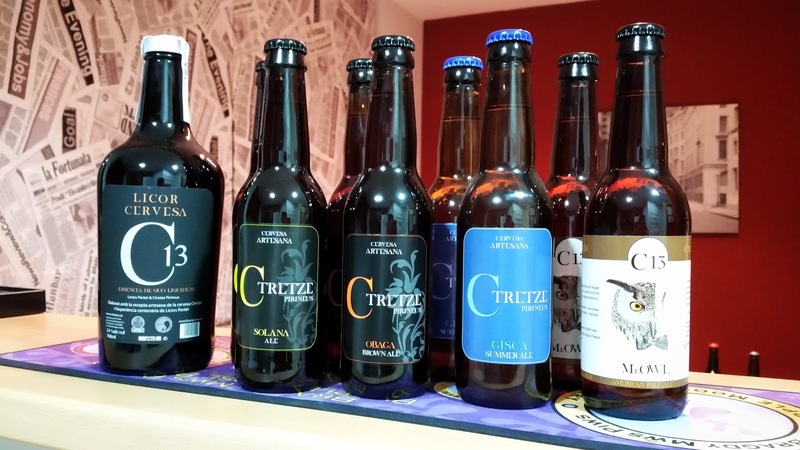 With a business wisely focused on the local market, CTretze started its activity in 2014 with an initial duo -Solana and Obaga- to please the palate of their countrymen. 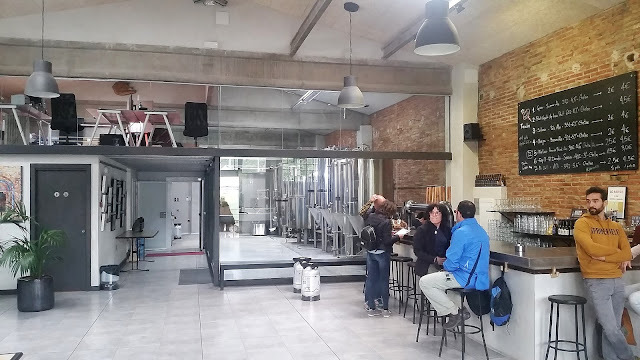 'We couldn’t get started with an IPA, here', commented Abel Sánchez, one of the four owners, who guided us throughout the facility, telling us everything in great detail. But the truth is that they are gradually introducing some more daring beers. After the success of Gisca, currently their best-selling beer, they have recently launched an APA called Mr Owl, with an extra hoppy layer that one can expect will bitterly seduce local palates. Although moderate, the day of our visit we could also find on tap an Imperial Stout 8.5% ABV and a hoppy session beer with El Dorado, with a pleasant cereal and nutty aftertaste, and sweet a aroma of melon and tropical fruit. Very tasty at just 3.0% ABV. As for general reflection, please note that the latter was a special beer -a test-. Hence, the price of it was lower than the rest, for they considered the recipe was not as ready as the rest, and also wanted to encourage its consumption to see what people thought of it. So logical, and so contrary to what we see on numerous occasions with the limited edition beers that many brewers release, dressed-up as exclusive. Soon they will also have a kitchen within the facilities to offer more than just snacks. 'This is a dream, for us', admitted Abel with a big smile, while we visited the loft where the owners work, with fantastic natural light and views to the bar, with its 9 taps, and the shimmering brewing area. No wonder it is a dream. Just like the road that bears its name, after our visit I see how Fàbrica CTretze also becomes a key artery for its area. For leisure and gastronomy, developing an invaluable work of spreading the word of beer in a place where nobody holds big debates about whether New England IPAs are no longer cool; nor they frantically count the days until 0 IBU IPAs land in Europe. To drink and to have fun. Cheers to that! Find more pictures in the Facebook album: Fàbrica CTretze. *‘Tretze’ means thirteen, in Catalan. After close to a whole year of work, we are in the final stretch to start the Eighth Edition of the Barcelona Beer Festival. With great enthusiasm, I set out to summarise those key points to take into account to enjoy the Festival in its fullness, whether this is the first or the eighth time you join this great celebration of beer as a drink and cultural element. The Session, a.k.a. Beer Blogging Friday, is an opportunity once a month for beer bloggers from around the world to get together and write from their own unique perspective on a single topic. Each month, a different beer blogger hosts the Session, chooses a topic and creates a round-up listing all of the participants, along with a short pithy critique of each entry. (more on Brookston Beer Bulletin). "I believe the importance of books for the beer culture makes them worthy of another Session"
Europa Press published yesterday the piece of news that had been rumoured for the last weeks among people in the scene: Heineken acquires 51% of Madrid-based La Cibeles brewery. Founded by David Castro in 2010, the year in which the microbrewing scene in Madrid was almost identical to that of the late 90s in Barcelona, with little more than imported beer as an alternative to the major national brands, La Cibeles soon achieved notoriety and was a source of excitement for the few beer enthusiasts with concerns beyond the eternal cañita de Mahou. "The ownership and independence of a company are secondary to a fundamental value such as consistency"